Like every other sport there have been people who feature as mentors, administrators, sporting personalities, officials, sponsors and critics that make up the history, development, successes, failures and future of netball in PNG. The personalities that make up the sport is what gives every sport its features, its characteristics and flavour. So often we overlook the people that work behind the scenes, the ones that provide the linkages or perhaps be there to offer a shoulder to cry on. The personalities behind netball in the country are many and spread across the vast expanses of our beautiful country. 3. Other netball personalities that influence our game. They may be an international star that we can gain inspiration from or that they are simply some of the best in the world. 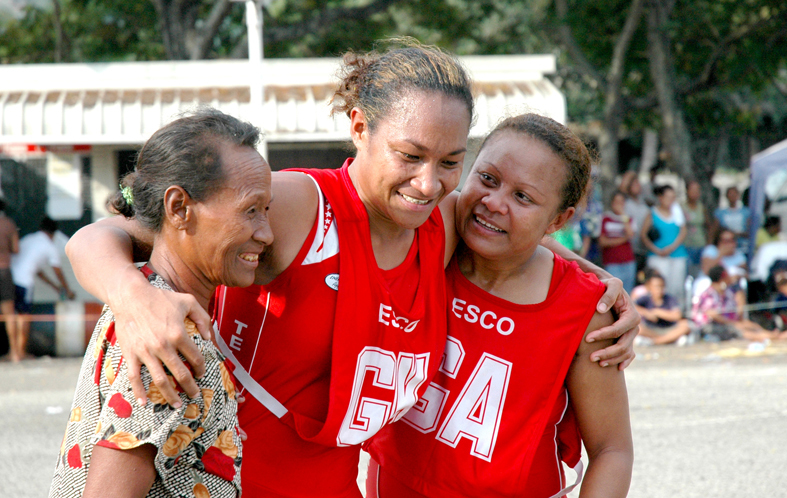 Personalities in PNG that immediately come to mind are people like, Martha Aaron in Lae, who has laboured thrughout 2010 in the absence of a working executive of the Lae Netball Association to usher the junior netballers in Lae into their first formal grand final in many years, or Gela Puka who has been at the helm of the Alotau Netball Association for some time now controlling the associations activities with the finesse of a banker, or Jenero Maino who attracts so little acknowledgment but is the backbone and perhaps three or four ribs as well of the Morobe Country Netball Association. These are the names that you will rarely hear but are substance of what makes netball what it is in our country. The list is many and the list of achievements long, but it is on these pages that they will be placed over the coming months so keep an interested eye on this page. If you know of someone that deserves a mention, please drop us a note detailing the particulars and someone within the executive of your association that can vouch for that person. Entries will be verified prior to posting on this site.